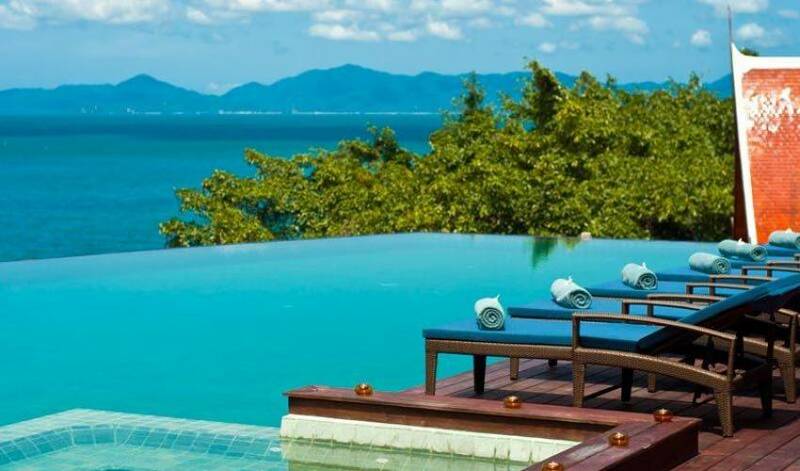 Exquisite, expansive and unique, Villa 4375 occupies a hidden headland on Koh Samui's unspoilt northern shore. 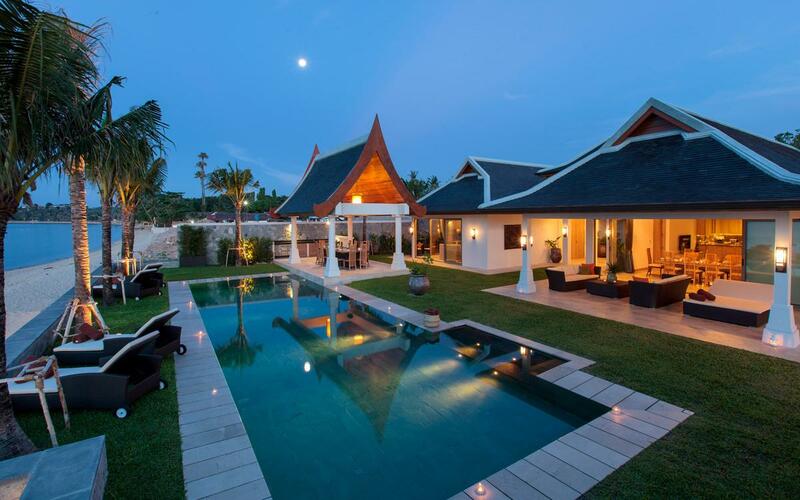 Built and finished to the highest international standards, Villa 4375 comprises a series of elegant stand-alone pavilions set amid beautifully landscaped grounds. 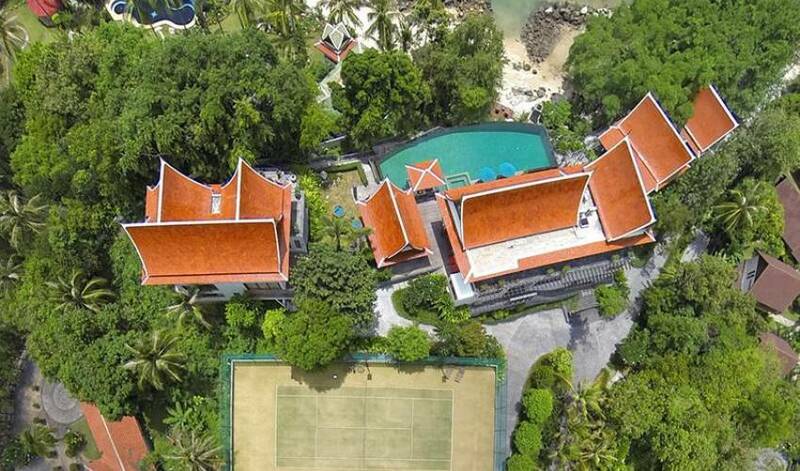 Polished teakwood floors, vaulted ceilings and plentiful windows create an airy indoor ambience, while outside the sloping, shaded gardens are home to towering palms, banyan and tamarind trees, all planted on land that gently stretches down to a secluded private cove and sandy beach. An exceptional choice for families or groups of friends seeking the ultimate exclusive retreat, Villa 4375 multifunctional living spaces and luxurious facilities offer guests a range of appealing options for undisturbed relaxation and personalised recreation. The villa's 8 bedrooms (one a dedicated children's room) are all individually furnished to guarantee complete comfort, with generous ensuite bathrooms and unique design touches adding to the pleasure of the stay. Hand-picked Asian artefacts, contemporary artwork and delightful soft furnishings create an inspiring sense of the exotic location. Indulgent additions at Villa 4375 include a custom built Clubhouse with its own private fitness and massage rooms, dry sauna, steam and huge jacuzzi. 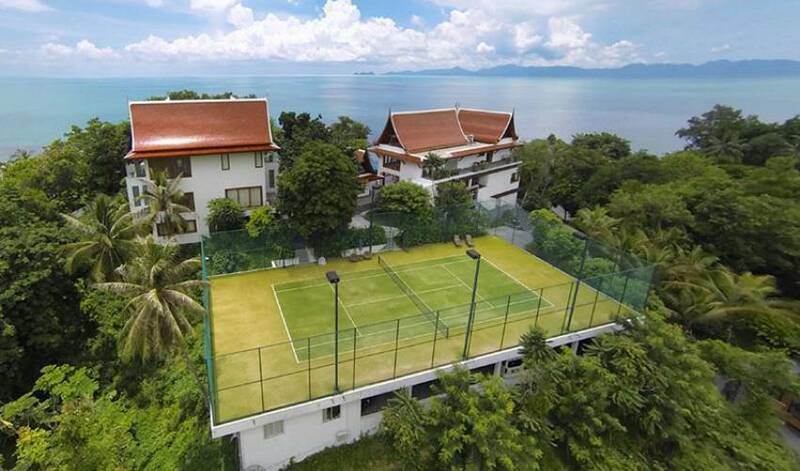 Active guests can play a few sets on the villa's floodlit tennis court or swim laps in the 32 metre private pool. Those who prefer less strenuous vacation fun can also enjoy a game of pool or mahjong in the Clubhouse, then head down to the private, 12-seater cinema for movie marathon complete with popcorn and ice cream. Fully staffed by an efficient team, including an experienced, multi-lingual General Manager, guests at Villa 4375 enjoy the very best in personalized services. 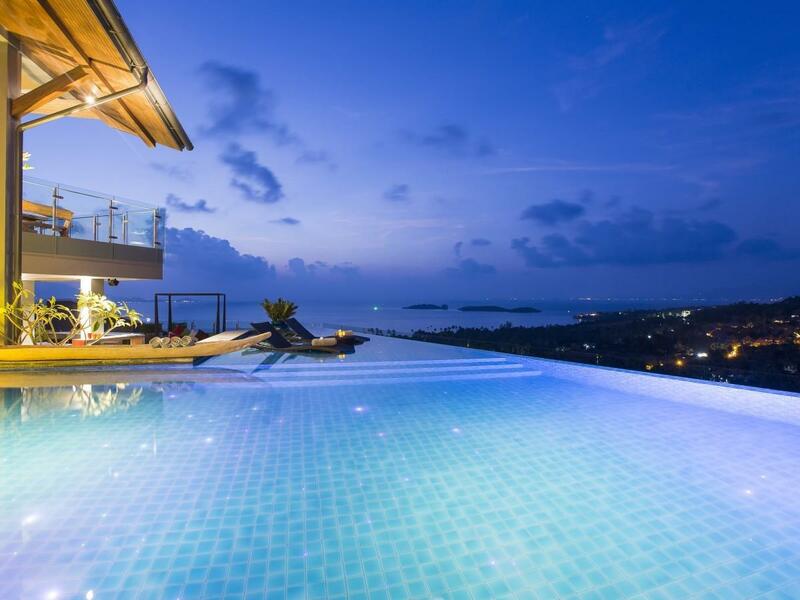 First rate hospitality, combined with an incredible range of comforts, fabulous facilities and a dramatic oceanfront location make Villa 4375 Koh Samui's most extravagant and engaging private luxury villa. The only neighbouring property is occasionally occupied by its owners but never rented out, guaranteeing minimal intrusion. Total exclusivity, combined with 5-Star service and top notch cuisine make for the absolute best in high-end beachside living. Villa 4375 is also the perfect venue for weddings, celebrations and corporate events as it features a specially designed, covered platform with a marriage gazebo, gentle water features and a purpose built food and beverage service area, DJ podium, dedicated bar and guest bathrooms. 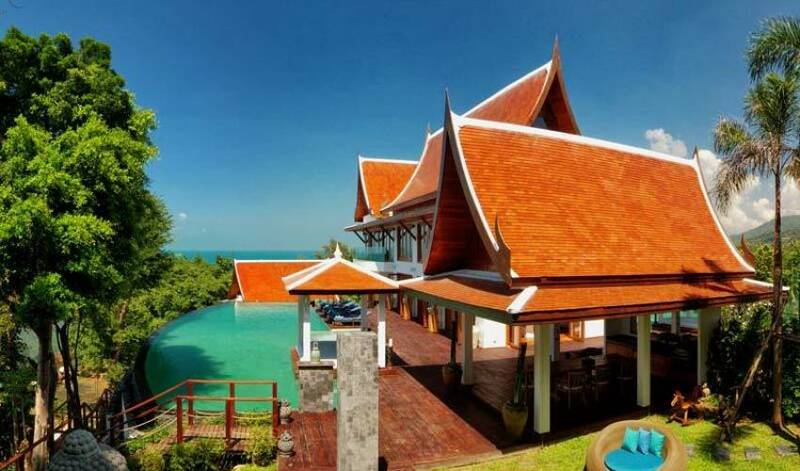 The happy couple and their close family can easily combine a dream wedding with a wonderful vacation in one of the region's most exuberant private villas. Master Villa: 1 Grand master suite, 2 guest suites, 1 teenagers' or nanny's room The three elegant suites that occupy the Master Villa are spacious, luxurious and decorated with striking contemporary Asian art and collectables. The two suites on the first floor offer generous bedroom and living spaces, as well as indulgent bathrooms with large tubs. One of these suites has been fitted specifically to welcome wheel chairs for guests with reduced mobility. The Grand Master Suite, located on the upper level also features in and outdoor showers, the latter with dramatic views of the sparkling bay below, the marine park and sunsets. A separate fourth bedroom is suitable for teenagers, or as accommodation for a nanny, featuring its own ensuite with shower only. 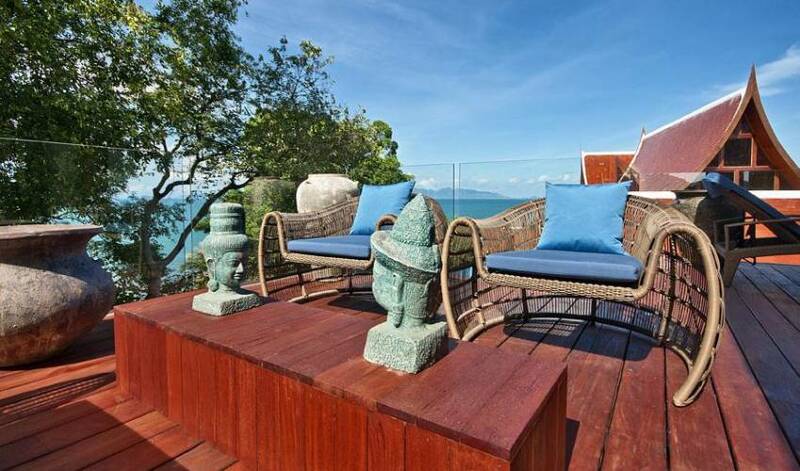 Villa B: 1 Guest suite, 1 Children's bedroom Ideal for a family, this villa combines a luxuriously appointed suite with a specially designed and decorated room sleeping 2 children, plus ensuite bathrooms and outdoor decks for a little private time with the kids. A majestic, stone-clad entrance opens into a vaulted lounge and dining area furnished with fine contemporary Asian art and decor with wood and glass doors opening onto the pool deck. The lounge extends into a spacious dining room with 14-seater round solid wood table, served by a fully fitted western show kitchen. A separate wet kitchen allows the staff to unobtrusively prepare meals for the guests. Upper Floor The expansive main lounge area is furnished with a giant, 9-metre sofa, plus a pool table, an extended choice of books and game table for additional entertainment. Mid-Lower Floor Heading down a few steps from the main floor, the dedicated health and fitness area includes a gym with the latest exercise machines, opening to the lower seaview pool deck, a dry sauna, a steam room, a large jacuzzi and a massage room for private spa treatments. The large changing area and shower compliment the facilities. Cinema room and wine cellar The villa's unique, 12-seater fully automated cinema and video game room is perfect for evening entertainment. Movies and lighting are controlled from a specially programmed iPad and the space even comes with its own popcorn maker and ice cream freezer. A fitted wine cellar occupies an adjacent room, cooled to a constant 18ºC and stocked with over 100 bottles covering the finest vintage and champagne from around the world. 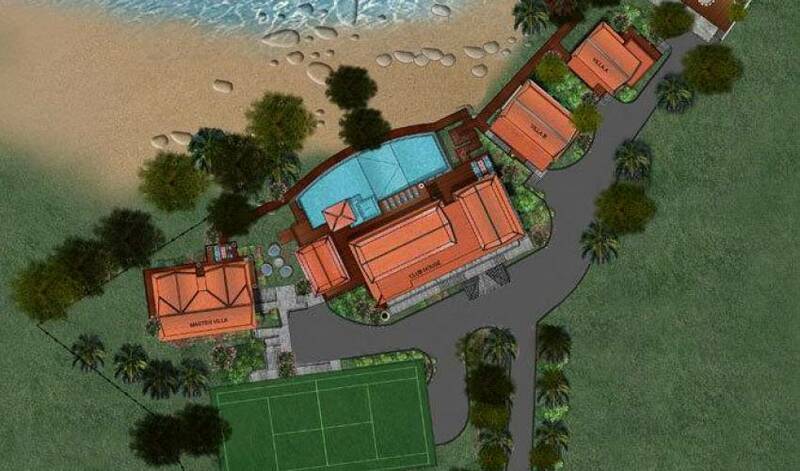 This floor also provides the changing and shower facilities for the tennis court. Pool and sun terrace The Clubhouse opens onto a wide wooden sun deck furnished with loungers that borders the 32 metre infinity pool with built-in 8 person jacuzzi. The deck also features a roofed poolside relaxation sala, while another furnished sala provides the ideal location for a BBQ and al fresco meals and drinks. 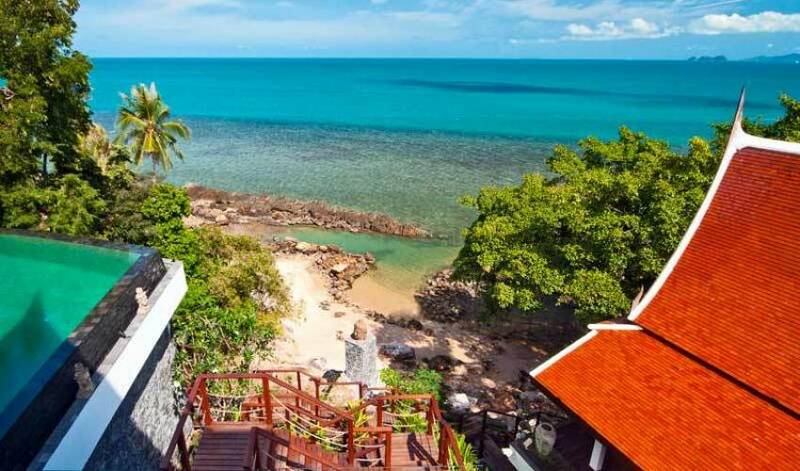 The Beach The villa's soft, white sand artificial beach is shaded by Tamarind trees with sun loungers, a Thai massage bed and a purpose built 'lovers' lounge' installed for an unforgettably romantic sunset.